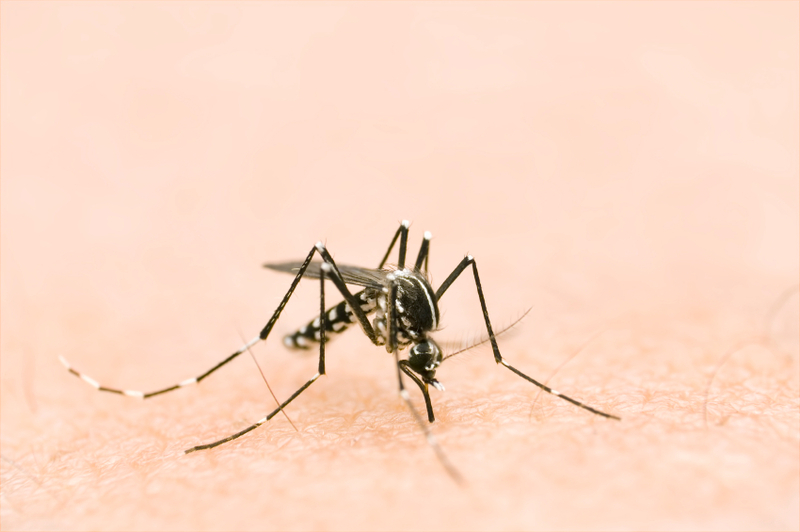 Given that mosquitoes can carry a variety of diseases, West Nile among them, I wondered how best to deter them from biting us and transmitting viruses and other pathogens? Let's start with a brief overview of their life cycle. Most adult female mosquitoes must have a blood meal in order to lay eggs. Thus they are the only ones who bite us and other animals (Males feed on plant juices and unlike humans, apparently don't extend their life span by doing so.) They live about a week, whereas their other-gender "mates" may live a month. They mate rapidly, finding each other by sound (males and females will match wing-beat sounds) and inseminated females will not mate again. That doesn't hold true for the males, but some may lose their sexual apparatus in mating. The females show a distinct preference as to where they lay their eggs; this varies by species, but must be on water. Of the 2,500 plus species worldwide and the 150 species of mosquitoes found in the United States, this water varies in quality, but can reside in almost any form of container you can imagine. The eggs are laid one at a time, but for the species we're concerned with (West Nile vectors), they stick together to form egg rafts and hatch within 48 hours. The next stage is called a larva. These larvae live in the water feeding on organic matter/microorganisms, but come to its surface to breathe. They shed their skin several times before becoming pupae, a non-feeding developmental stage which eventuates as an adult mosquito about two days later. So we humans have some time in which we can interrupt their growth into the potentially disease-carrying adult females. These are not highly selective diners, but may feed on man, many domesticated animals, birds, some wild animals (e.g., deer and rabbits) and snakes, frogs, toads or lizards. One of the easiest, very low-tech methods, is to keep track of water-containing vessels around your home and change the water every few days. I spotted the obvious ones (mentioned in my last post) and emptied the dog water dish into two potted plants and changed the water in our bird water container, spilling that onto the lawn a flight down. But that may have been insufficient. I don't know if any larvae in the pots would survive, though I doubt it, but I also put the hose into two larger containers that tomatoes are growing in. The fluid goes down a plastic pipe and spreads out into the dirt the plants are sprouting from. Could that be an area where mosquito progeny could live? Since I'm discussing West Nile I'll focus on Culex mosquito preferences Their eggs are laid on either fresh or stagnant water in ditches, creeks, puddles, tin cans, barrels and those are preferably sheltered from high winds (which we frequently have here) by weeds or grasses. The females lay the eggs at night, one at a time, to form rafts of two to three hundred edges which then hatch within 24 hours. 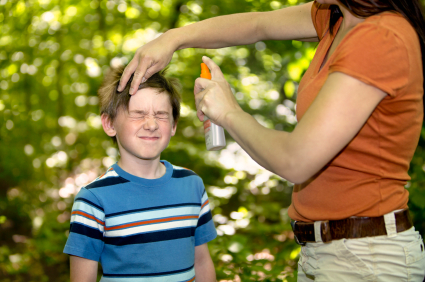 spray yourselves and your older kids as well, but ask your pediatrician about little ones. 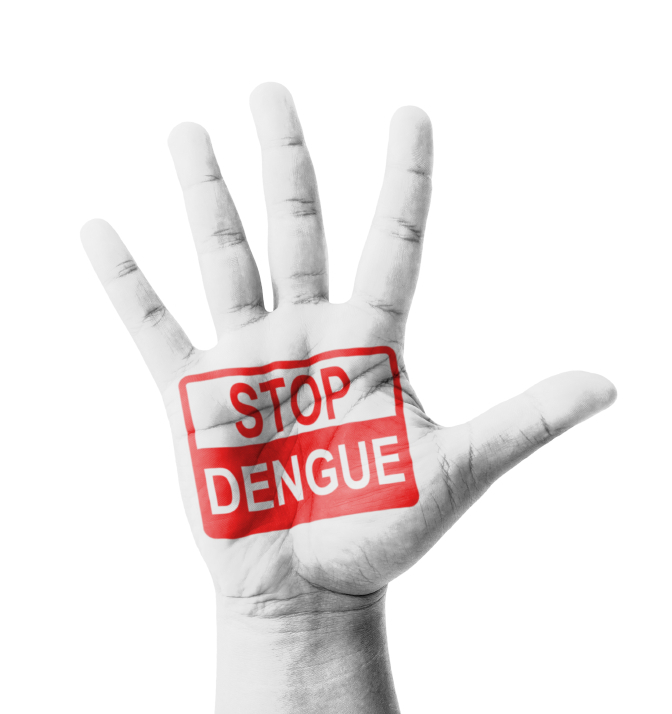 Culex mosquitoes prefer to attack at dusk and after dark and are prone to enter buildings for blood meals. They only live a few weeks during the warm summer months. 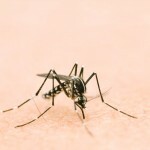 The Illinois Department of Public Health webpage on mosquitoes says they bite dogs and transmit heartworm disease to them, but the only canine case of West Nile I was able to find was from Africa in 1982. I'll keep looking, but won't worry about our Tibetan terrier as a reservoir for the virus. 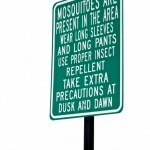 The Illinois website has lots of tips for reducing mosquito populations in your immediate area and thoughts on protecting yourself. I may change my short (I walked him 97 minutes starting at 6:35 a.m. today) late evening final-dog-walk of the day clothing from T-shirts to long sleeves and spray myself with DEET. There are a variety of pesticides available; some of the commercial ones, for environmental use rather than personal spraying, are very toxic. That's particularly a poignant question now when pesticide tainted school lunches in a village in India recently killed at twenty-three youngsters. That turned out to be a concentrated form of an organophosphate called malathion. It interfere with nerve signals in the bugs and kills them. Other chemicals include a triad compound marketed as Duet (Why isn't it called Trio?). Current spraying is at night in ultra-low volume and the chemicals are broken down by light and soil, usually within hours of being applied according to a JAMA patient page from the July 17, 2013 edition. My take on the subject is there should be public announcements of such chemical application and I'd stay in that night. We're driving up to ~8,500 feet elevation for a meal with our gourmet club today so I wondered if that altitude made up safe from mosquito bites. I Googled the questioned and found a local source for an answer. According to the Colorado State University Extension page on West Nile Virus: Culex tarsalis, one of the main West Nile virus vectors, commonly occurs up to altitudes of 8,500 feet and is found as high as 10,000 feet above sea level. Other potential vectors are more common above 8,500 feet and can be found well above this elevation. On the other hand, the transmission season becomes shorter as elevation increases, which probably reduces risk significantly. 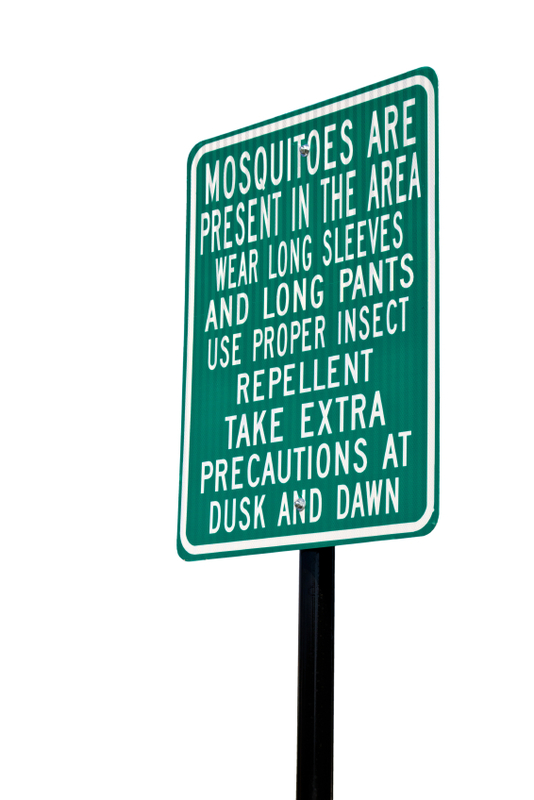 Given the lack of knowledge and experience with this disease in Colorado, it is prudent to use an effective repellent when mosquitoes are active, even at these higher elevations. I remembered that while we were away I had seen a piece in The New York Times (that comes on my iPad) that would apply to preventing West Nile, "A Low-Tech Mosquito Deterrent." According to this article mosquitoes fly at 1 to 1.5 miles an hour and a small rotating fan blows air at 10-15 MPH. It also disperses the chemical clue (our exhaled carbon dioxide) that female mosquitoes use to find their prey. So next time I plan an outdoor party in our yard, I'll bring out the extension cord and put up a fan. I mentioned this article to a friend at our health club and he said, "I already have a fan going in our bedroom at night; I'm going to buy another one for our son's room." We came home from a short trip to Texas and I realized my weekly copy of JAMA had four articles on West Nile disease, its complications and possible prevention. After several years of relative quiescence, West Nile was back with a vengeance in 2012. Between the original New York City outbreak in 1999 and 2010 the virus has been endemic in the United States with intermittent flares, overall infecting an estimated three million Americans, causing West Nile fever (WNF) in 780,000, the much more severe West Nile neuroinvasive disease (WNND: e.g., involving the brain and other portions of the nervous system) in 16,196 and killing 1549 of those. A 2001 article in the New England Journal of Medicine reviewed the original Western Hemisphere outbreak, the 1999 epidemic in New York City. It began with two patients hospitalized for encephalitis in the New York City borough of Queens. A preliminary epidemiologic search of nearby hospital admissions revealed six more cases. All eight lived in a sixteen square mile area in northern Queens and all had participated in evening outdoor activities (e.g., working in their gardens). A search of their environments showed breeding sites for the particular species of mosquitoes known to carry St. Louis encephalitis (its vector), so the mini-epidemic was presumed to be an arthropod-bourne disease (The term arthropod include insects, spiders and crustaceans such as lobsters and crabs.) Mosquito control measures were promptly begun. Eventually fifty-nine New Yorkers were hospitalized in August and September of that year with this outbreak. Although their ages varied from 5 to 90, the median age of these severely ill patients was 71 (NB. The "mean" is the "average" you're used to, where you add up all the numbers and then divide by the number of numbers. The "median" is the "middle" value in the list of numbers, so in this case there were as many patents over 71 and under that age). The overall attack rate of West Nile in this outbreak went sharply up with age. Nearly two-thirds of those affected had encephalitis with altered mental status along with fever and abnormalities in their cerebrospinal fluid (CSF, the fluid that cushions the brain and spinal cord, bring it nutrients and removes waste products). Some of those had moderate to severe muscle weakness and/or meningitis (inflammation of the membranes that cover the brain and spinal cord) with fever, abnormal CSF findings, headache and stiff neck symptoms. Seven of the fifty-nine (12%) of those with the disease died and those over age 75 were especially prone to death in this epidemic. Diabetes was another risk factor for mortality. At the same time, there was a seemingly unrelated fatal illness occurring in the area's birds, especially in crows. The connection initially was missed as St. Louis encephalitis doesn't usually kill off its avian reservoir hosts. Eventually the West Nile virus was identified in tissue specimens taken from both crows and a Chilean flamingo that had died at a zoo in the vicinity. Within five years the virus had spread to all forty-eight contiguous states and several provinces in Canada. There were major flares of WNF and WNND in 2002 and 2003 with almost 3,000 cases of WNND in those years. Then things calmed down and, as is typical, the money available for mosquito control became less abundant. The disease spread to Argentina by 2005 and eventually to most of the Western Hemisphere countries. Strangely only the United States (and Canada) suffered major epidemics. Dallas County had a population of nearly two and a half million humans; of those 255 developed WNF, another 173 got WNND and 19 of those died. 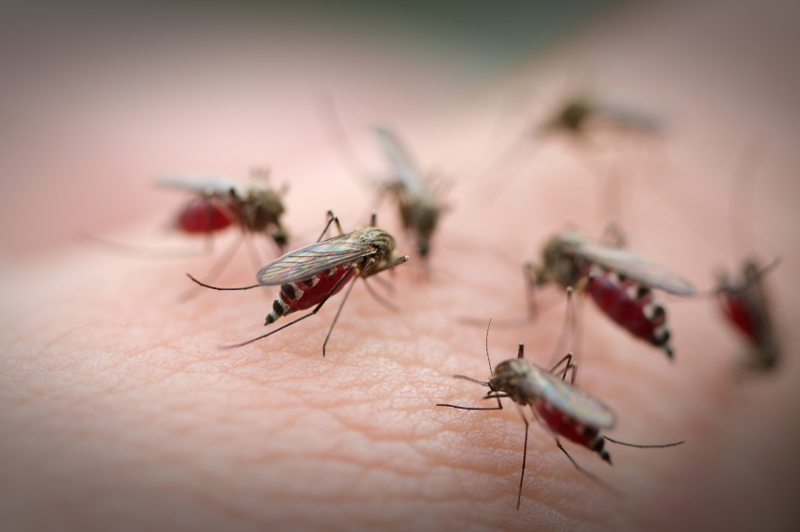 The review article, published in the July 17, 2013 edition of JAMA, states there was "An usually rapid and early escalation of human cases (which) followed infection trends in mosquitoes." As in the rest of the country, Dallas had experienced a considerably warmer than usual winter. Ever since 1966, when aerial spraying for mosquitoes was instituted for an epidemic of St. Louis encephalitis, researchers in the metropolitan area had a heightened awareness of arthropod-bourne disease. Blood studies of residents in a Dallas area prone to flooding had shown there had been recurring epidemics of related virus-caused illness. 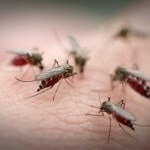 As West Nile virus supplanted its predecessor, Dallas began to experience cases of WNND and to prepare for its flares. In May 2012 a mosquito trap yielded evidence of West Nile-infected insects and all area physicians were sent a recommendation to test patents with symptoms of potential WNND for the virus. A "vector index" was developed and calculated weekly; the specific of the math doesn't matter, but it related to how many of the particular mosquito species which was the region's primary carrier of West Nile virus, Culex quinquefasciatus, were found and their infection rate. Human cases of WNND were noted to follow the vector index peaks by one to four weeks. An 8-day aerial spraying of insecticide did not lead to an increase in emergency room visits for asthma or other respiratory problems, or, for that matter, to skin rashes. As of today I'm unaware of any human vaccine for West Nile or any treatment for the disease other than supportive measures. So what can we do to prevent WNF or WNDD? At present our only method is to control the mosquito population and avoid being bitten. I decided to change the drinking water we put out for the birds we feed and any dog water that's outside every other day. And we don't garden in the evening. 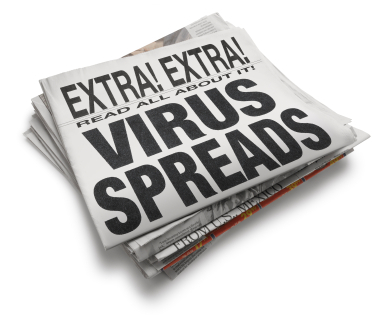 I'll mention one other, low-tech preventive measure in my next post.